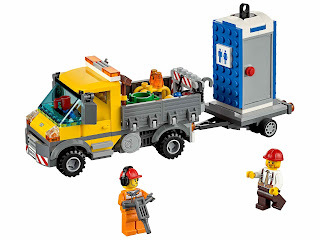 come with a truck with crane, a trailer and a portable toilet. 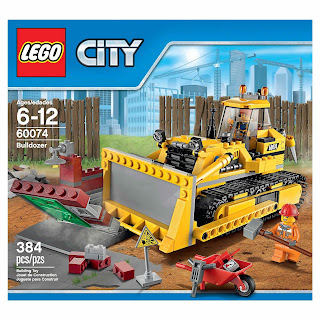 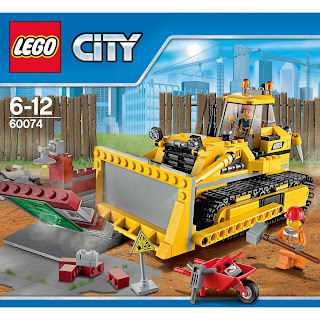 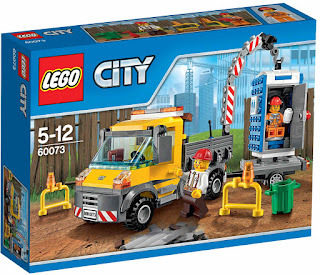 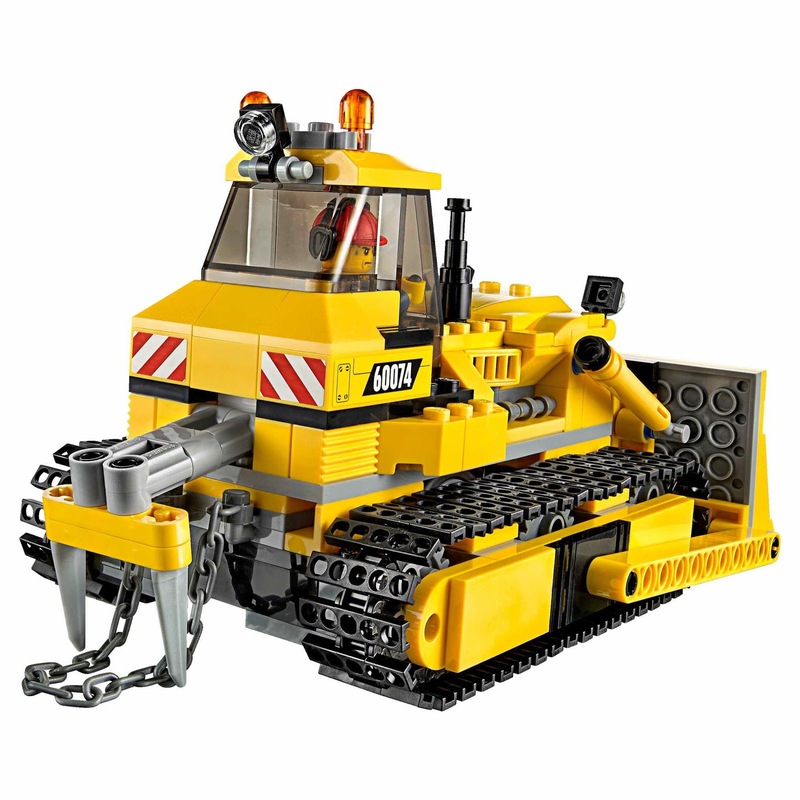 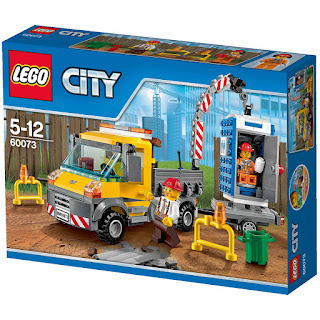 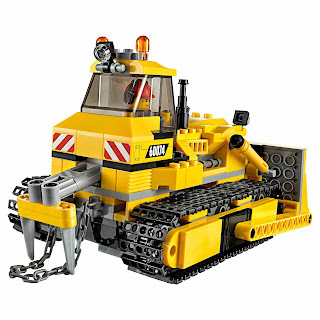 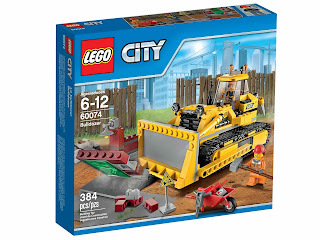 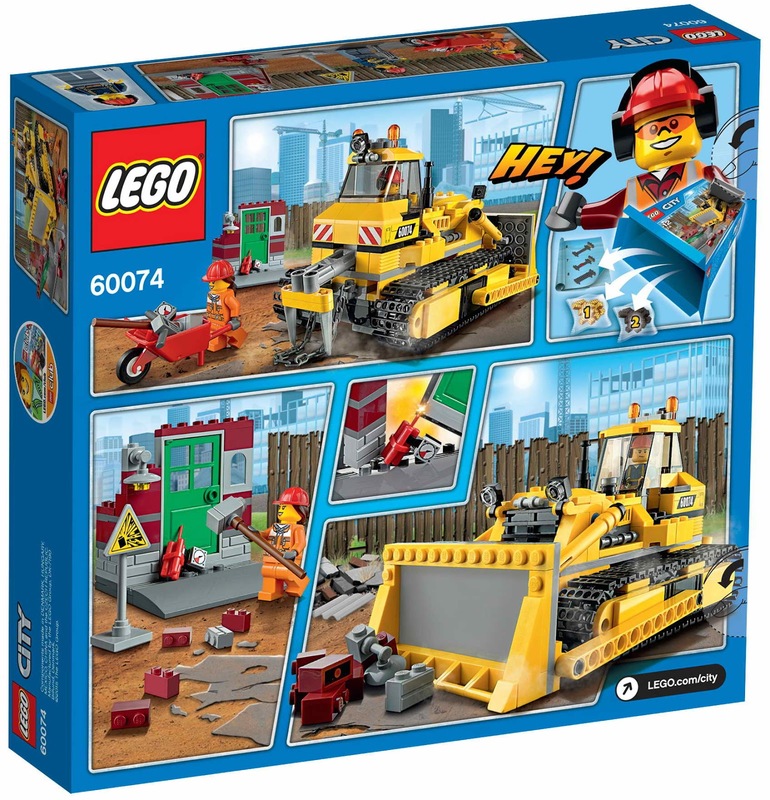 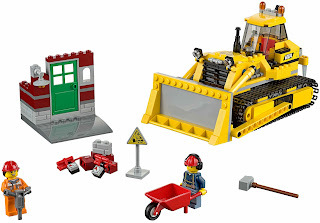 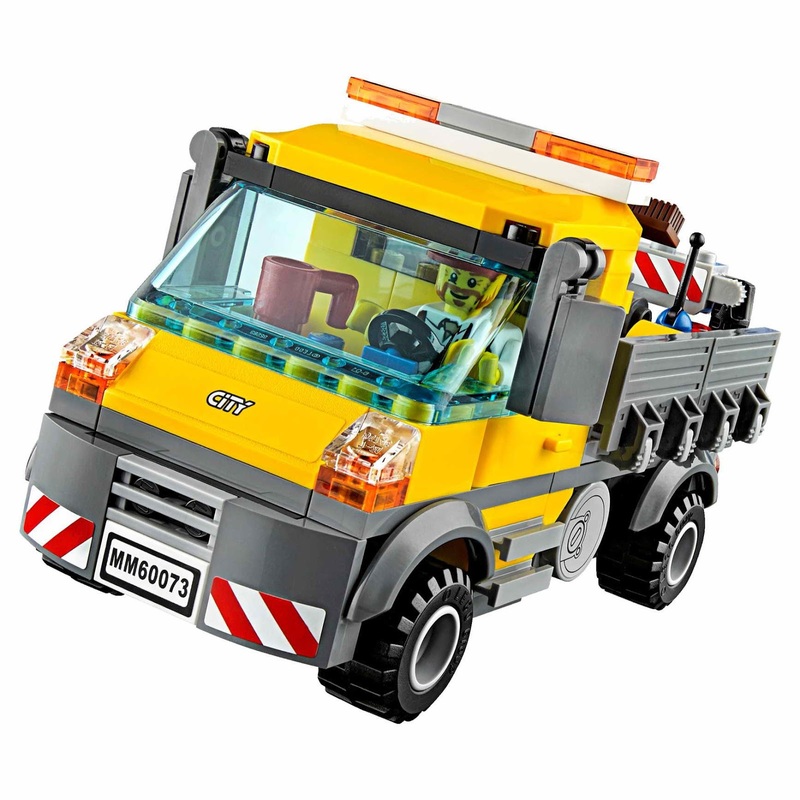 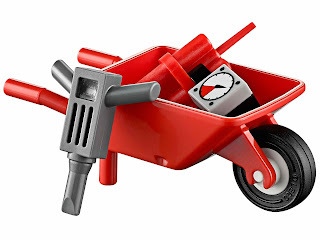 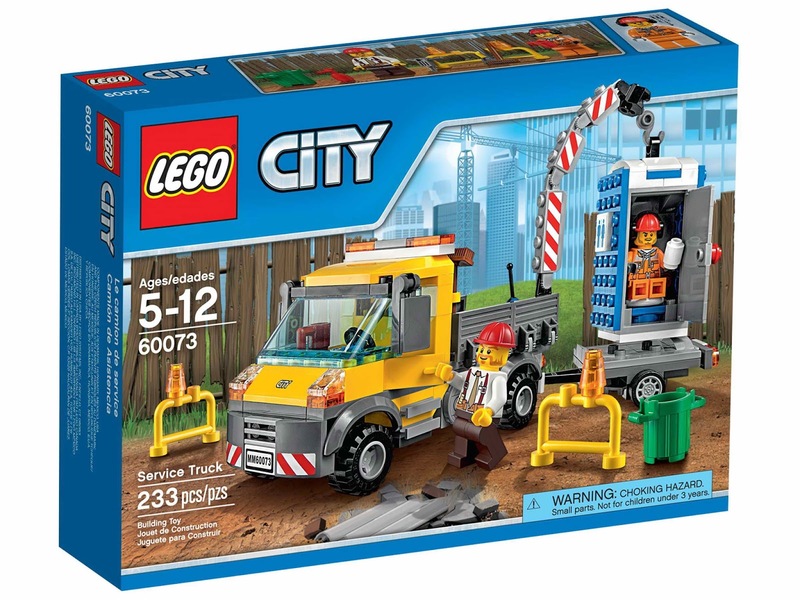 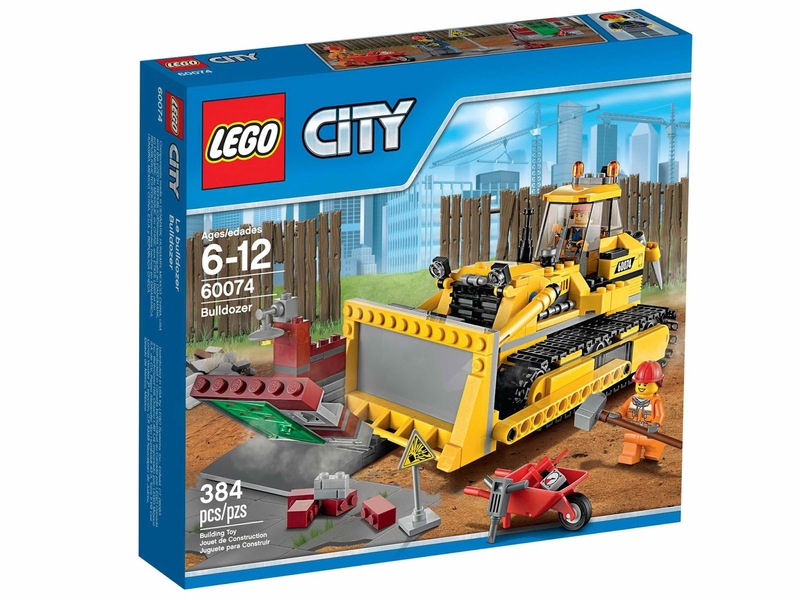 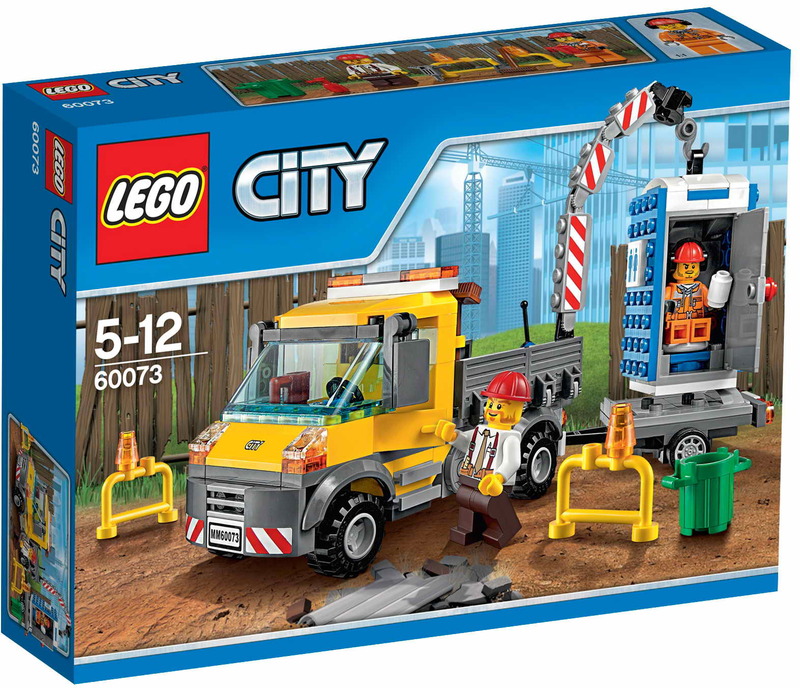 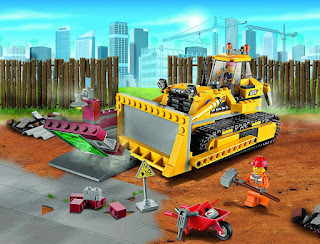 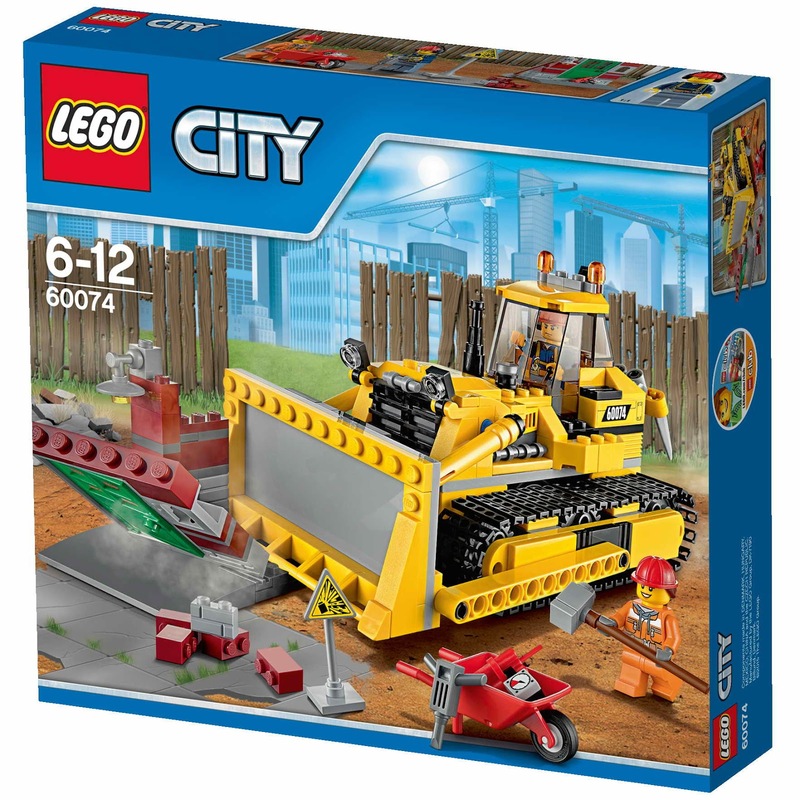 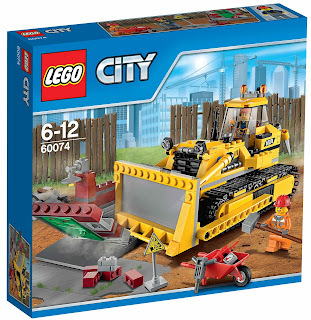 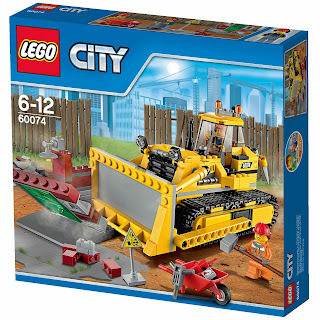 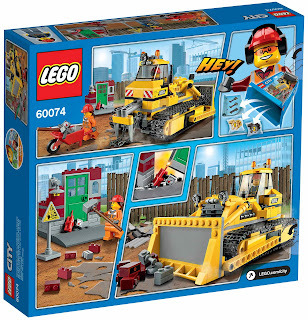 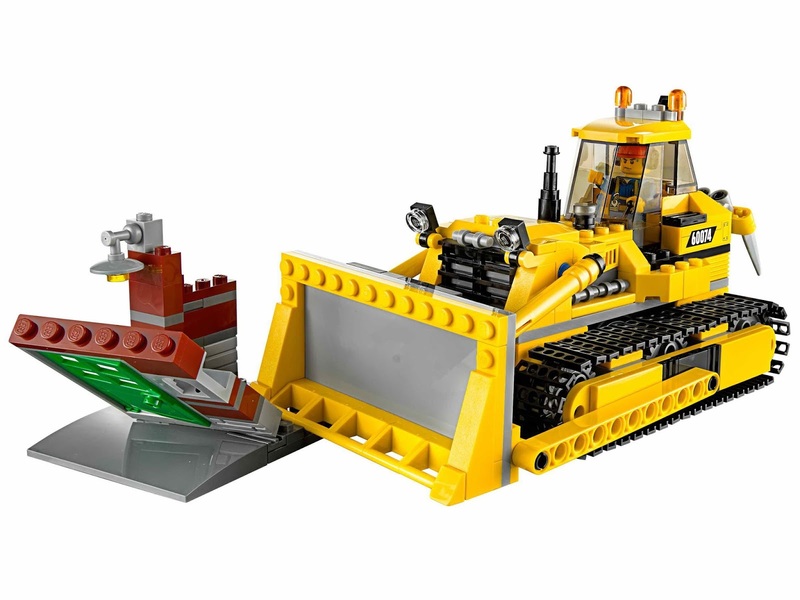 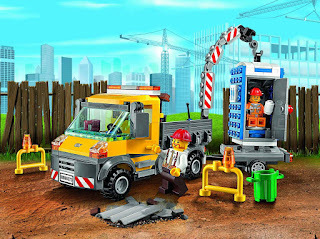 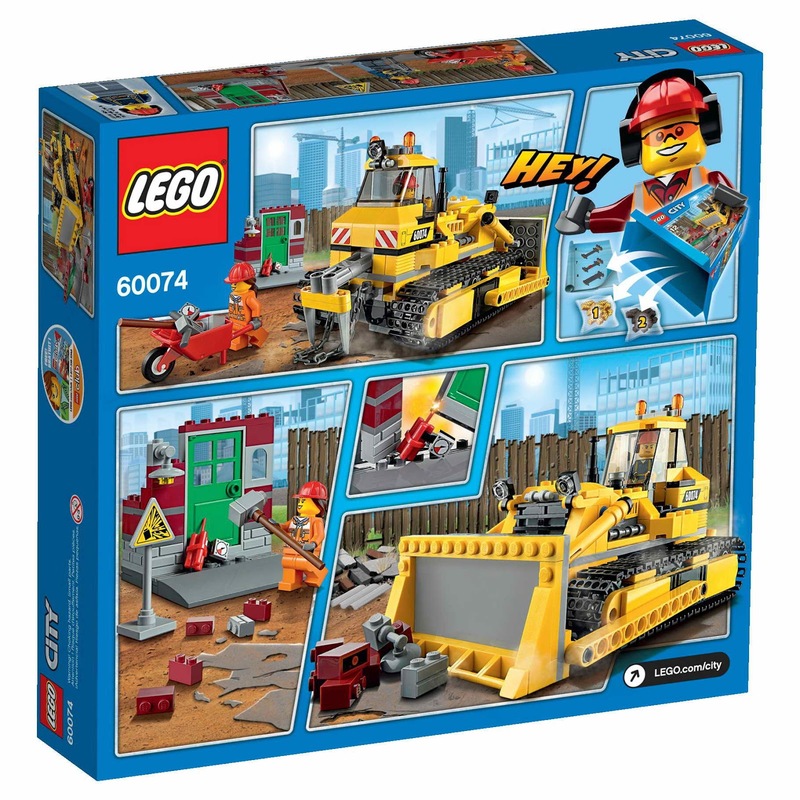 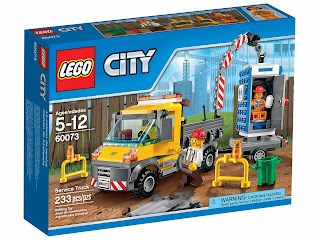 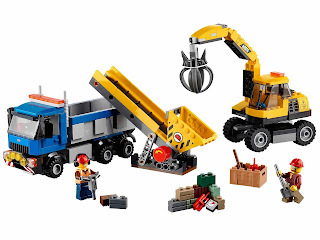 come with a bulldozer with movable blade and ripper and a building section. 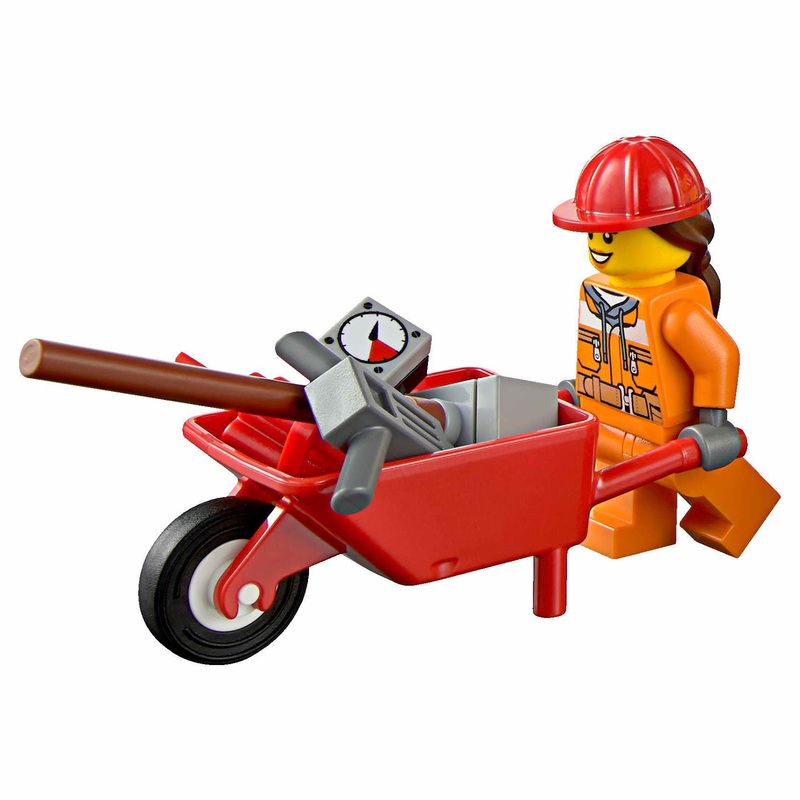 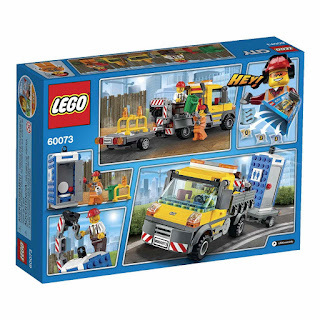 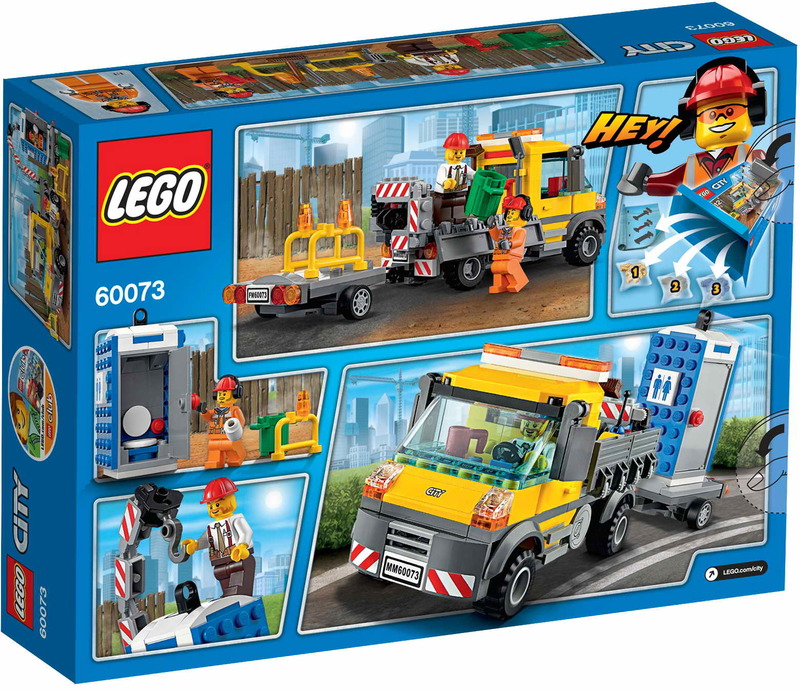 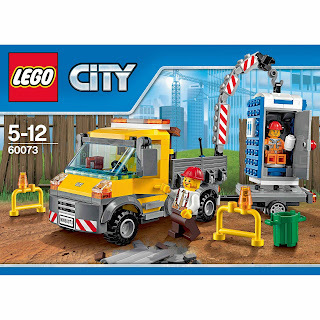 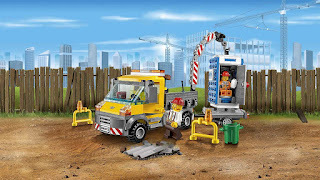 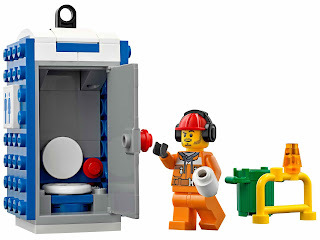 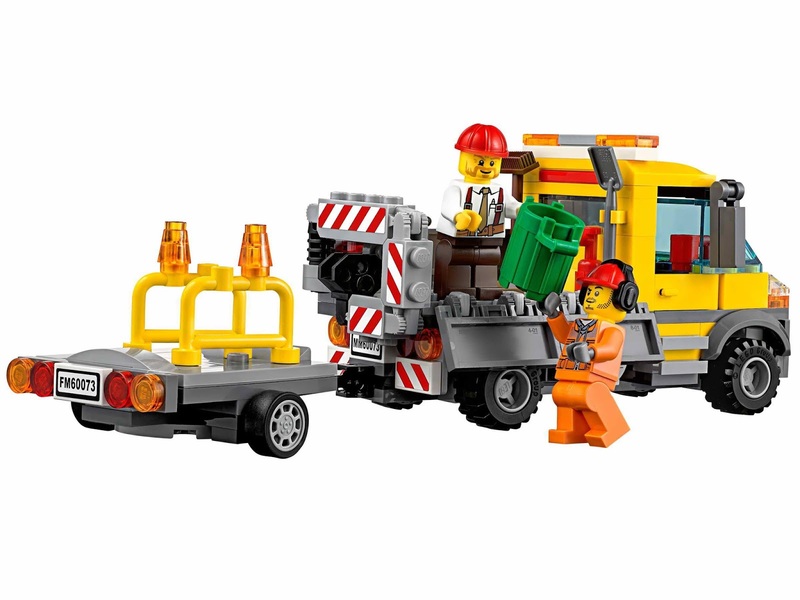 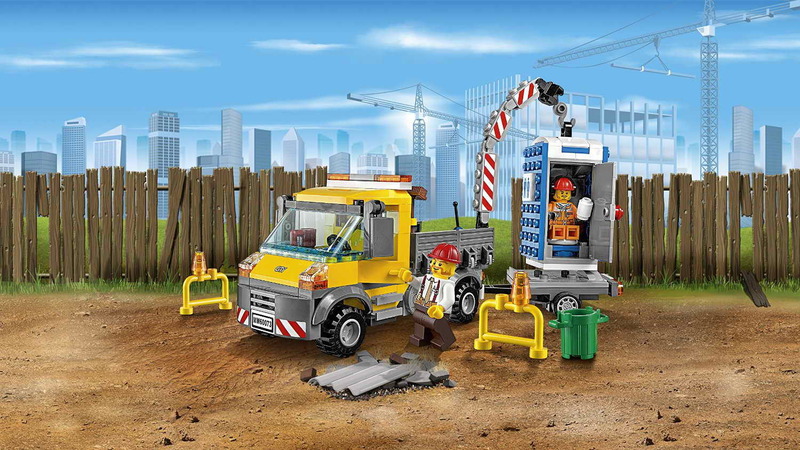 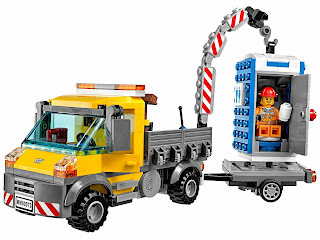 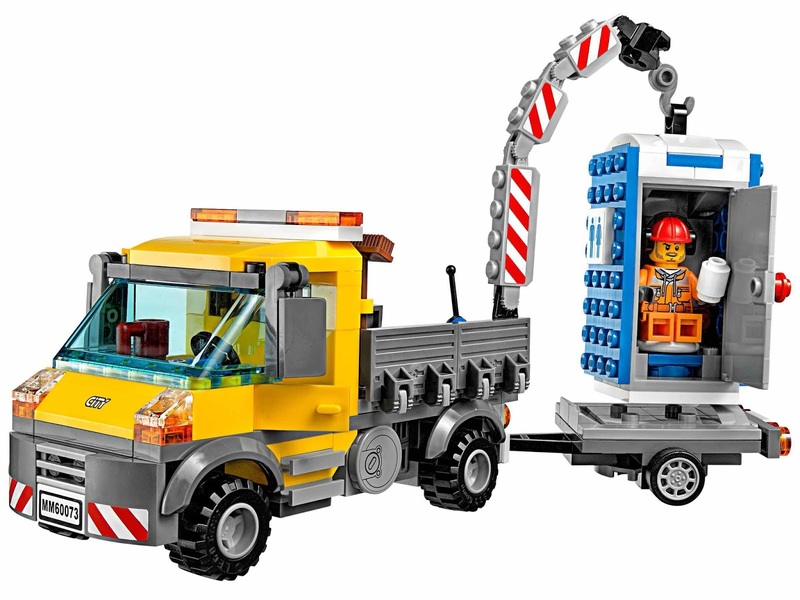 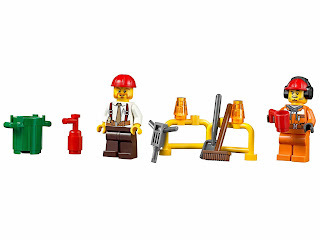 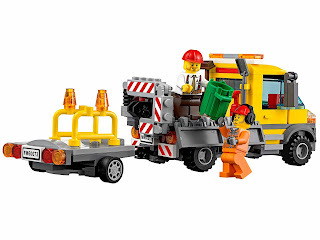 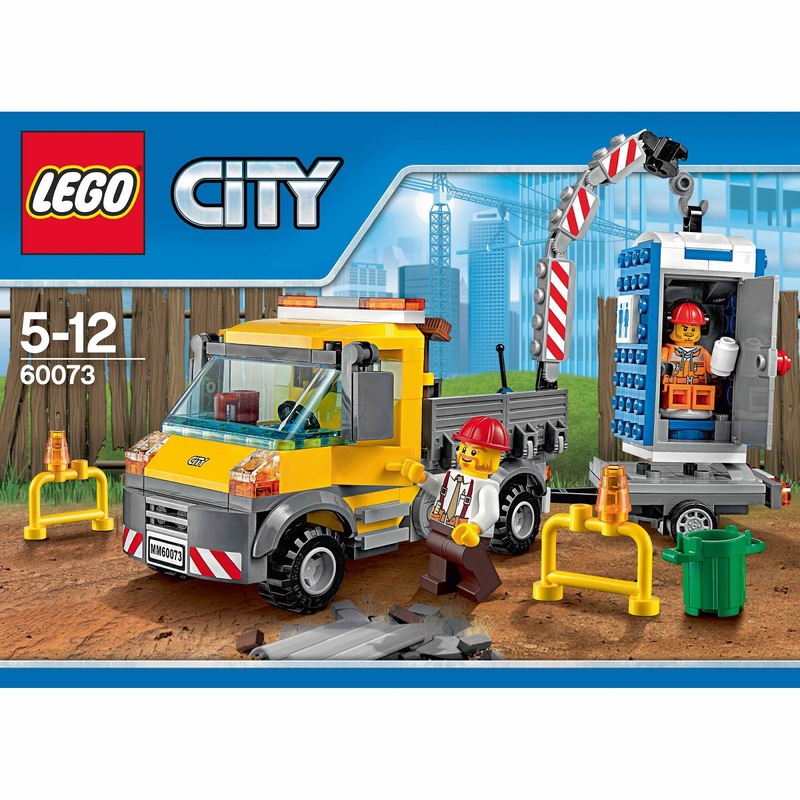 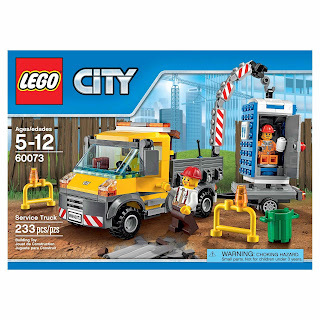 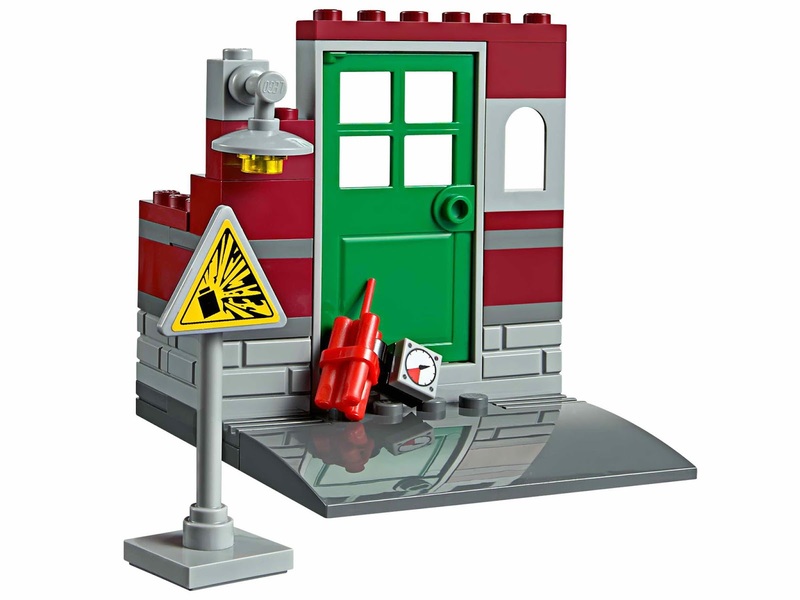 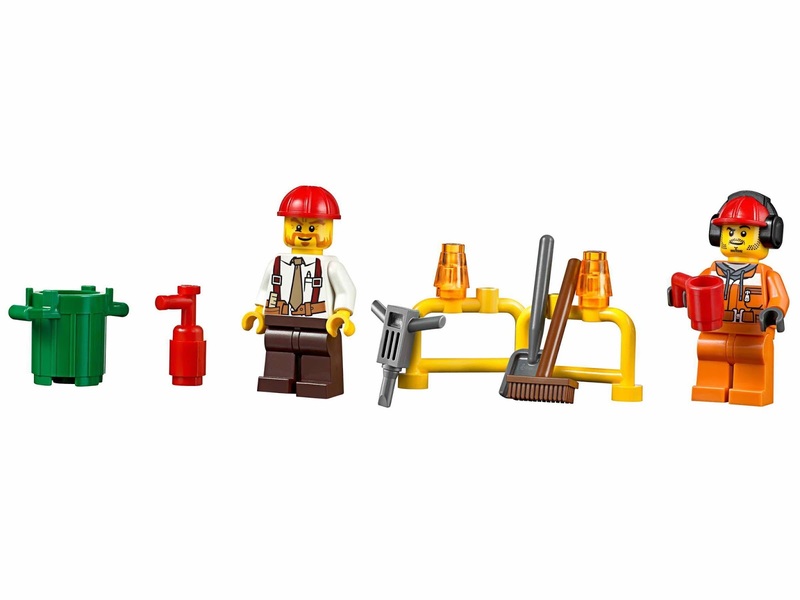 minifigs included a female demolition worker minifig and a male demolition worker minifig.